An easy stage but, without any major attractions, this route occurs almost entirely on asphalt but, without services for walkers. From the albergue, walkers take the OU-0108. Passing the monastery of Santa Maria la Real, continuing on rúa Colón and on the OU-0102 road in the direction of Salgueiros. The directions for the pilgrim route in this area are bad. From here hikers pass a health centre, the public swimming pool, an outdoor area with picnic tables and a football pitch. A path guides walkers, once again, to the road, which is crossed, to continue ahead on another path, which avoids some meters on asphalt. Immediately, the route returns to the OU-0102 to pass through Outorelo, A Pousa, Gaspar, A Veirada, Ousende, Penelas, Venda do Río and Pereiras, where it unites with the Camino from the south. The other variant, which comes from Allariz, coincides with the road at the junction that connects the OU-0514 and the OU-0102. Here there is a bus stop. Pilgrims continue the Camino on the road and reach A Castellana. They cross the industrial estate of San Cibrao das Viñas and arrive at a junction, turn left and, at a new roundabout, turn right and, continue on the OU-0514 towards Roboredo which, leads to the OU-0105, this road is taken to the right in the direction of Ourense. Pilgrims descend down the OU-0105 and turn right after the petrol station, later they turn left onto a path. From here walkers face one of the most dangerous points on the Silver Way. Pilgrims will have to cross the railway lines to then cross the OU-0105 road to reach Seixalbo. There is a curious fountain with two spouts, one of drinking water and the other of water that has not been certified as drinkable. From here hikers continue towards the church of San Breixo. 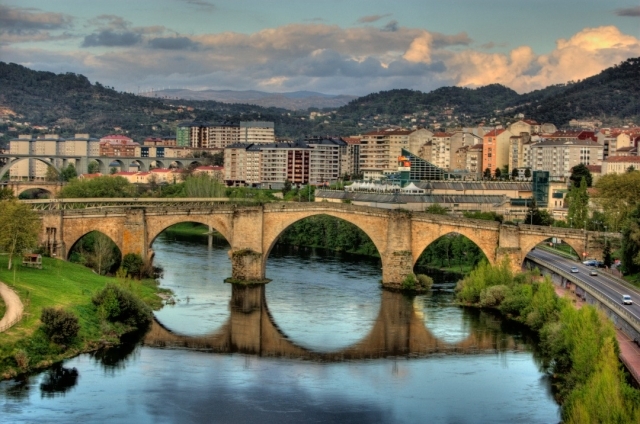 On this journey there only remains the entry to Ourense. First pilgrims have to walk down the long street of Calle Verea Real. Passing a car dealership until reaching the OU-0105, the street rúa Cumial, avenida de Zamora. 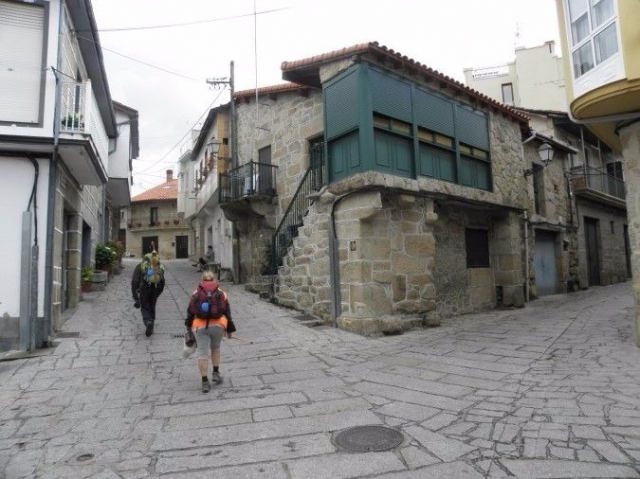 At a roundabout, with a fountain in the middle, walkers wanting to go to the albergue (situated 1.5 kilometres away) have to continue ahead, on rúa Nosa Señora de Saínza. Those not staying at the albergue should continue on avenida de Zamora. An easy stage for cyclists as the journey runs almost entirely on asphalt.